Our research involves the development of new reactions in organic chemistry and their application to the synthesis of biologically active molecules. We are also interested in the application of organic chemistry in the study of biological processes. 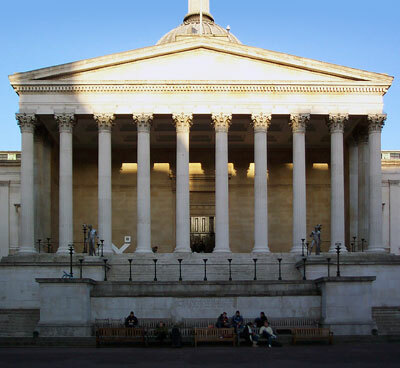 We are based in the chemistry department at UCL, situated in the heart of London. Congratulations to Cal who had his PhD viva today, and passed subject to the completion of minor corrections! Thanks to Steve Fletcher and Alethea Tabor for being his examiners. Our review article on catalytic amidation from a green chemistry perspective has just been published in Nature Catalysis. Congratulations to Joe who has passed his PhD viva subject to completion of minor corrections! Tom has been promoted to Professor of Organic Chemistry! Our collaborative work with Henry Rzepa on the DFT calculation of 11B NMR shifts has been published in JOC. Maria Bawn (John Ward group) and Fabiana's work on the transketolase-catalysed synthesis of L-glucoheptulose from L-arabinose has been published in Enzyme & Microbial Technology. From 21st-24th May, Tom did a lecture tour of Sweden, Denmark and Germany sponsored by Sigma-Aldrich, giving talks at Uppsala University, Danish Technical University, Lund University, AstraZeneca Gothenburg and the Max Planck Institut für Kohlenforschung. Sam, Jarryl, Joe and Kate's work on dihalohydration of propargylic alcohols has been published in the European Journal of Organic Chemistry. Marco, Valerie and Rachel's work on catalytic and stoichiometric direct amidation of unprotected amino acids has been published in Chemistry - A European Journal. Marco and Valerie's work as part of our collaboration with Andy Whiting and Henry Rzepa on the mechanism of boronic acid catalysed amidation reactions has been published in Chemical Science. Charlotte's work on Silver-Free Pd-Catalysed CH-arylation of bicyclic amine scaffolds has been published in JOC and features on the cover of the issue. Joe's work on a new homology model of the alpha-7 nicotinic receptor has been published in Molecular Pharmacology and features on the cover of the journal issue. Tom gave a talk at Manchester University on 22nd November entitled "Dehydration Reactions for Sustainable Synthesis"
Tom gave a talk at Newcastle University on 31st October entitled "Dehydration Reactions for Sustainable Synthesis". Sam's paper on the synthesis of boronocysteine has just been published in Synlett. Congratulations to Marco who has been awarded the Ramsay medal, a prize given annually to the best completing PhD student in UCL Chemistry! Marco received the award following his presentation entitled "Borate Esters: Simple Catalysts for the Sustainable Synthesis of Complex Amides" at the Ramsay medal symposium at UCL on Wednesday 27th September. Marco's work on borate-catalysed direct amidation reactions has just been published in Science Advances. The Sheppard Amidation Reagent is now a catalyst! Welcome to Joe Higham and Alexander Goyder who are joining the group to do their MSci projects. Congratulations to both Sam and Sally who passed their vivas on Wednesday 6th September and Monday 11th September. Well done to both of them. Congratulations to Valerie who passed her viva on Friday 11th August. Just some minor corrections to do now! Congratulations to Charlotte who won the prize for the best organic poster at the UCL Chemistry PhD Poster competition on Monday 3rd July. Two prizes in one week for our PhD students! Congratulations to Marco who won the Davies prize for the best organic presentation at the UCL Chemistry final year postgraduate symposium. Congratulations to Tom Watts, one of our MSci students, who won the runner up prize at the SCI National Undergraduate Research Symposium for his talk on novel azulene chemistry. Congratulations to Shaleem (former visiting PhD student in the group) whose PhD work has just been published in Bioconjugate Chemistry. Congratulations to Joe who won a prize for his poster describing his work on the α-7 nicotinic acetyl choline receptor at the AChR 2017 meeting in Crete. Tom, Helen and Fabiana have co-authored a paper by Prof. Gary Lye (PI on our large collaborative sustainable chemistry project) on the sustainable synthesis of chemical building blocks from sugar beet pulp for the forthcoming Faraday Discussion meeting Bio-resources: feeding a sustainable chemical industry. Our paper on the direct synthesis of amides using B(OCH2CF3)3 is still in the most read articles (past 12 months) in JOC and has been viewed more than 12,000 times! Tom is organising the RSC South-East organic meeting at UCL on Monday 10th April. We have a great line-up of speakers including two RSC prizewinners. Register here (Free to attend). Congratulations to Marco who won the runner-up prize at the SCI Postgraduate Symposium (South) at Bath University on Wednesday 5th of April for his talk about novel amidation chemistry! Tom gave a talk entitled "Dehydration reactions for sustainable synthesis" at Copenhagen University on Thursday 30th of March. Alice and Fabiana's work on the synthesis of furfuryl amines using transaminase enzymes has just been published in Green Chemistry. Our work on direct amidation of unprotected amino acids has been highlighted in Synfacts. Laure's work on the palladium-catalysed synthesis of boron heterocycles has been published in Organic & Biomolecular Chemistry. Welcome to Tom and Olivia who are doing summer research projects in the group. Welcome back to Laure who is rejoining the group as a PDRA. Our paper on the direct amidation of unprotected amino acids using the the Sheppard Amidation Reagent has been published in Chemical Communications. This paper features work by Rachel, Valerie, Marco and Pavel. Samantha and Valerie presented their work at the UCL Chemistry 3rd year PhD organic synposium on 22nd June. Congratulations to Marco who won the prize for the best organic poster at the departmental poster session on Tuesday 21st June. Tom is now a Fellow of the Royal Society of Chemistry. Sally presented her work on the sustainable synthesis of polysubstituted benzenes at the ACS 20th Green Chemistry and Engineering Conference in Portland, Oregon on June 15th. Tom and Ruth's son Matthew was born on Saturday 14th of May! Tom gave a talk entitled "Exploiting Selective Dehydration Reactions for Sustainable Synthesis" at the University of Strathclyde on March 31st. Our paper in collaboration with Richard Grainger (Birmingham) has just been published in the special issue of Advanced Synthsis & Catalysis on Gold Catalysis. The paper features work carried out by Matt (former PhD student in the group) and Samantha on the regioselective hydration of propargylic alcohols. Fabiana's work on the transketolase-catalysed conversion of L-arabinose into L-glucoheptulose has just been published in Green Chemistry. Sally and Fabiana's work on the synthesis of polysubstituted benzenes from furfurals has just been published in Green Chemistry. Our work in collaboration with Paul Murray from Catalysis Consulting involving the development of a new PCA solvent map for reaction optimisation has just been published in Organic and Biomolecular Chemistry. The article was featured on the front cover of the journal with a design incorporating a photo taken by Tom of the ridge running between Herzogstand and Heimgarten on the edge of the Bavarian alps. Fil's work on the asymmetric synthesis of secondary alcohols using organocatalysis has been published in Synlett. Welcome to Patrick, Billy and Karl who are carrying out MSci research projects in the group. Welcome to Charlotte and Callum who are starting PhDs in the group; also Joe who is returning to the group to carry out his PhD on the ISMB Wellcome Trust Chemical Biology program after carrying out a rotation project with us last year. Rob's work on selective dehydration of sugars to give tetrahydrofurans has been published in Chemistry - A European Journal. Valerie's work on direct amidation reactions of pharmaceutically relevant acids and amines has been published in Organic and Biomolecular Chemistry. Congratulations to Rob who has passed his PhD viva after completing some minor corrections. Our review on Palladium-catalysed oxidation of alkenes has just been published in Synthesis. Sam, Rachel and Laure's work on a chiral aldehyde for measuring the enantiopurity of primary amines has just been published in Organic & Biomolecular Chemistry. Tom gave a talk entitled "Water Driven Chemistry: Activation and Formation of Carbon-Oxygen Bonds" at Stockholm University on Thursday 11th of June. James won a prize for his talk "Investigating the Potential Role of Boron Compounds in Prebiotic Peptide Synthesis" at the 8th London SCI Undergraduate Research Symposium at Imperial College London on Tuesday 6th of June. Tom gave a talk entitled "Water Driven Chemistry: Activation and Formation of Carbon-Oxygen Bonds" at a symposium organised by Heptares at Biopark, Welwyn Garden City on Tuesday 2nd of June. Jarryl's work with Neil Millar's group on allosteric modulators of α7 nicotinic receptors has been published in Neuropharmacology. Rob gave a talk at the SCI Postgraduate Symposium (South) on Thursday 21st May at the University of Southampton. Rob's work on the synthesis of endo cantharimides has been published in Chemistry - A European Journal.